This is the layout for Lifetime Fitness for continuing audit work, by Deloitte Tax and Audit. This was a bid to renew and re-establish work that we had been doing with Lifetime. As a result, the strategic core of the proposal focused on our existing relationship with the company. 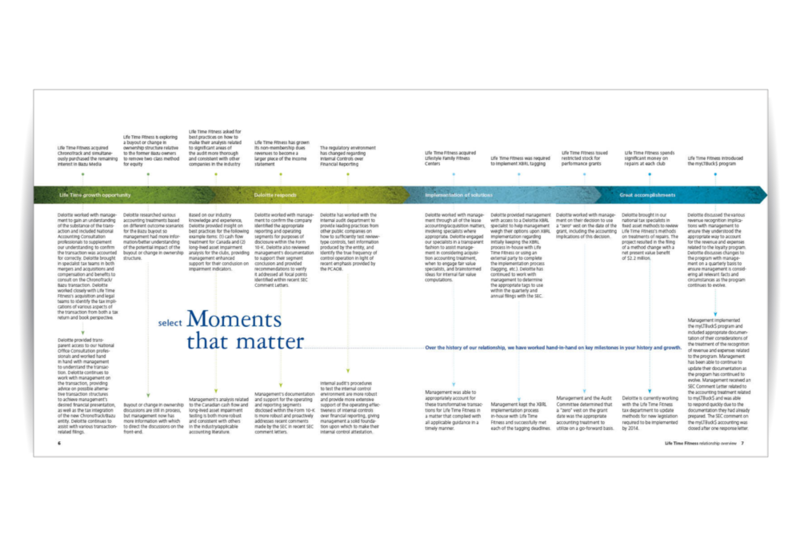 This spread captured all of the moments that Deloitte had shared with Lifetime, over their many years of work together. 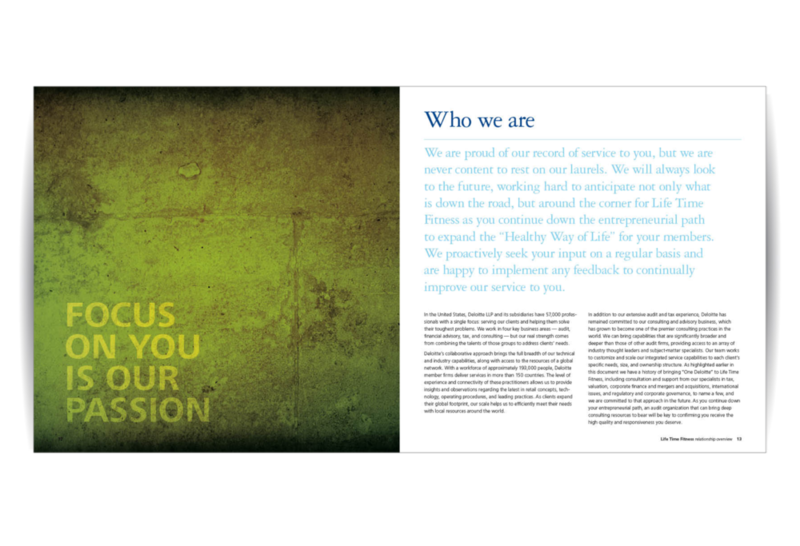 Using the Lifetime brand, we built separator pages that emulated the fitness giant's slogans. 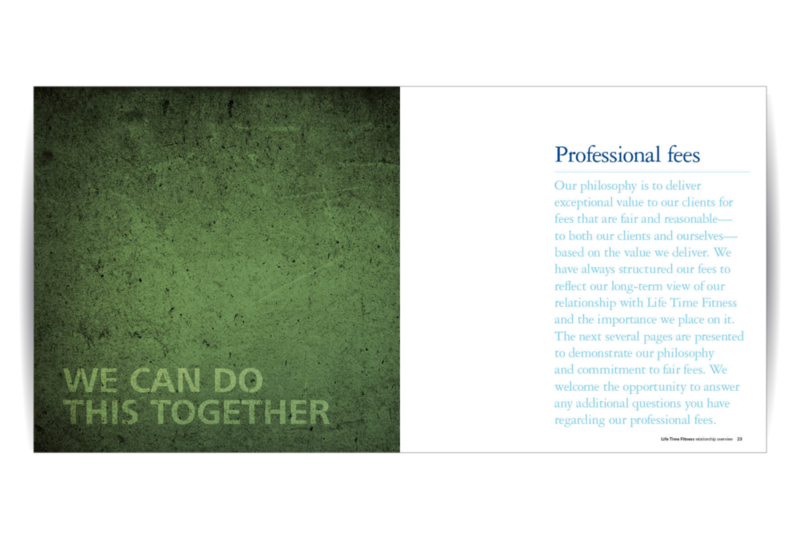 This booklet was a creative leap for Deloitte and it took a fair amount of convincing to go with this format. It paid off to venture out of the box, as we won the contract. This proposal was strategically oriented to the client, with a focus on relationship. We used the opportunity to discuss who we were, only toward the end of the proposal.